Capital Leasehold was established by David Goldstone BSc MRICS, Fraser Maldoom Dip.VEM FRICS, Robin Jones BSc MRICS and John Strong FRICS. The 4 founding partners have over 100 years combined experience in a wide range of disciplines relating to the residential property market primarily in London and the Home Counties. and enfranchisement as well as the marketing and sale of leasehold properties with ‘short’ leases. Consequently, Capital Leasehold sets out to address this problem and we are pleased to offer our wealth of professional knowledge to both Freeholders and Leaseholders. We take pride in the work we undertake, providing a personal service that meets modern demands whilst maintaining traditional standards. Partner contact and accessibility is of prime importance to us and our clients. A former Head of Lease Extensions & Enfranchisement at John D Wood and subsequently at Friend and Falcke in Kensington and Chelsea, David practised on his own account as London Leasehold before co-founding Capital Leasehold. David has over twenty years of experience including Lease Extension & Leasehold Enfranchisement experience honed in the Prime central postcodes of W1, W2, W8, W11, SW1, SW3, SW5, SW7 and SW10. A tough negotiator, he has challenged The Cadogan, Grosvenor and Crown Estates at The Leasehold Valuation Tribunal on The Sportelli Decision, Hope Value and Leaseholders Improvements. David has an Expert Valuer’s knowledge and first hand experience of the Extending of Leases on Flats and the acquisition of Freeholds of Houses for Leaseholder and Freeholder Clients under Leasehold Enfranchisement and Lease Extension legislation and case law. Every client of Capital Leasehold has the benefit of the David’s extensive London wide experience acquired North and South of the Thames, including Prime Central London where he has variously worked and lived over many years. David was recently recognised by his peers in the industry, qualifying as a finalist in the 2013 News On The Block awards for Valuer of the Year. After studying at Bristol Polytechnic, Fraser started his London property career in West Hampstead then qualified in 1986 whilst working for Healey & Baker. Shortly after qualifying he moved to Barnard Marcus in Clapham, leaving SW4 to set up and manage the Mayfair Professional Office. 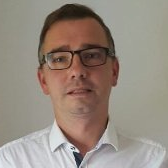 In 1991 Fraser joined the Inland Revenue's Valuation Office as a Senior Valuer based in Wimbledon where he gained 10 years experience in valuing anything from houseboats to flour mills. He left to re-enter the private sector initially in Commercial Property as an Associate Director of Stiles Harold Williams at their Thames Valley Office before moving back into Residential Surveying and Valuation. He is a founding partner of both Capital Leasehold and Capital Chartered Surveyors and Valuers. Robin studied at South Bank and Anglia Polytechnics, obtaining a degree in Building Surveying. He set out first into Project Management on Luxury Hotel refurbishment and then spent 10 years in the Public Sector with Islington. 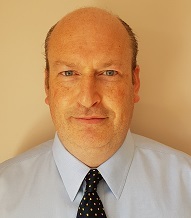 He returned to the Private Sector in 2001 joining Colleys as a Valuer, leaving in 2003 for Ashdown Lyons where he first met two of his current Partners. Robin subsequently headed up the Prime Team at Shepherd Surveyors before leaving to co-found Capital Chartered Surveyors and Valuers and Capital Leasehold. Damian worked in the digital industry for over 16 years since graduating with a first class honours degree in Computer Science. He started his career in Germany working as a software engineer and has moved through the ranks to be become a Web Development Manager. He now is now in charge of business development at Capital Leasehold.